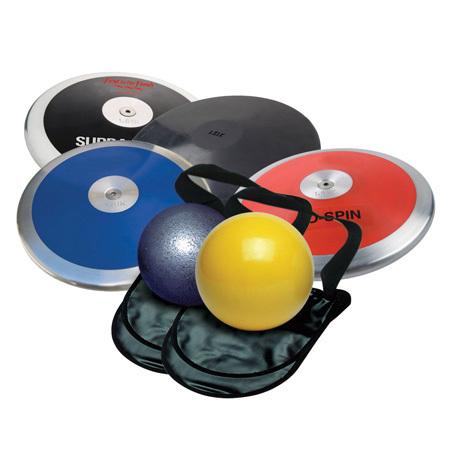 • P346 1.0k Prime Sports Rubber discus. • P146 1.0k Prime Sports Red discus. • P166 1.0k Prime Sports Blue discus. • P0066 1.0k Prime Sports Black discus. • P616 4k cast iron shot. • P0646 4k 100mm turned shot. • P456 vinyl shot & discus carry bag.